This week revealed the long-awaited results of a trial of the “Serious Illness Program,” the meticulously designed and carefully studied project of researchers in palliative care at Dana Farber Cancer Institute and at the Boston think tank, Ariadne Labs. Initially conceived of as a “checklist” by checklist enthusiast and founding director of Ariadne, Atul Gawande, the program has evolved into an educational program for clinicians. 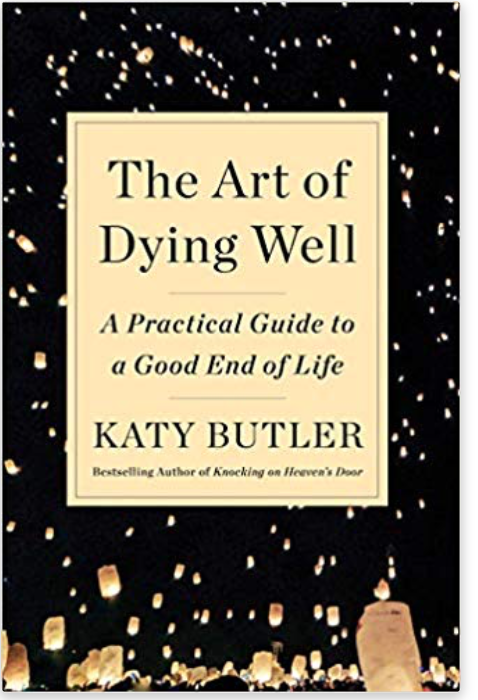 Specifically, it involves teaching physicians to use the “Serious Illness Conversation Guide” to structure discussions with patients about end of life preferences and values. 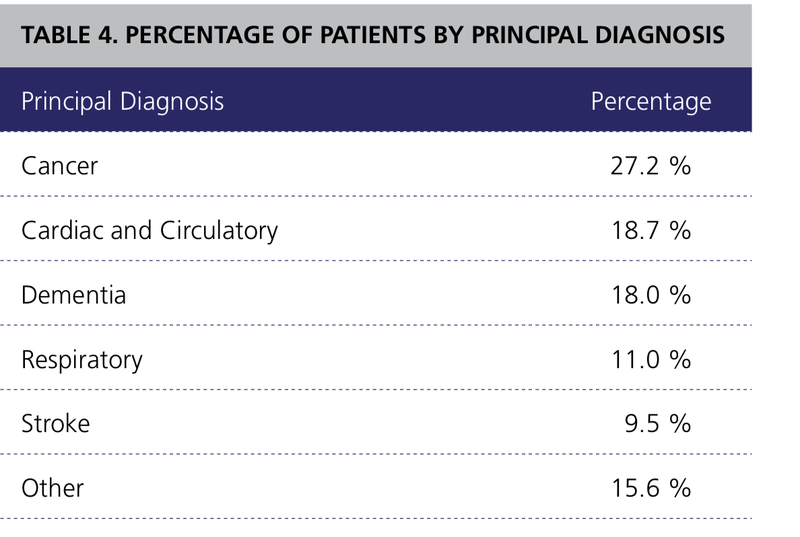 In this study, carried out at 41 “clusters” comprised of 91 physicians, nurse practitioners, and physician assistants working within the Dana Farber orbit, palliative care physicians did the teaching and provided follow up coaching. Ultimately, only 35 clusters providing care to 209 eligible patients had evaluable data. What the results showed is that despite all the effort spread over a four-year period, the Serious Illness Conversation Guide failed to achieve any of its primary outcomes. The researchers hypothesized that if physicians were trained to use the researchers’ communications tool, patients would be more likely to have “goal-concordant care;” that is, the treatment they received would be aligned with their wishes. In addition, it was hoped, they would be more likely to experience a peaceful end of life. Neither effect was observed. There was less anxiety and depression among patients whose physicians had been trained to use the Serious Illness Conversation Guide, though perhaps a less-labor intensive or qualitatively different approach would have achieved the same effect. What should we conclude from the failure of this communications guide to achieve its goals? The authors blame it on the small sample size and low patient accrual rate. They point out that their conclusions are of limited generalizability, given that the patient population was predominantly white, affluent, and college-educated. The more fundamental question, however, is whether the intervention itself is valuable. Despite its being well-received by physicians, perhaps the tool is just not an effective approach to educating physicians in communication skills. 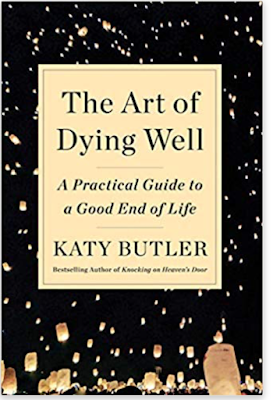 An even deeper assumption of this study is that the major problem with end of life care is poor communication by physicians. A very different perspective formed the basis of the Robert Wood Johnson’s program, Promoting Excellence at the End of Life, which focused principally on educating and empowering patients. 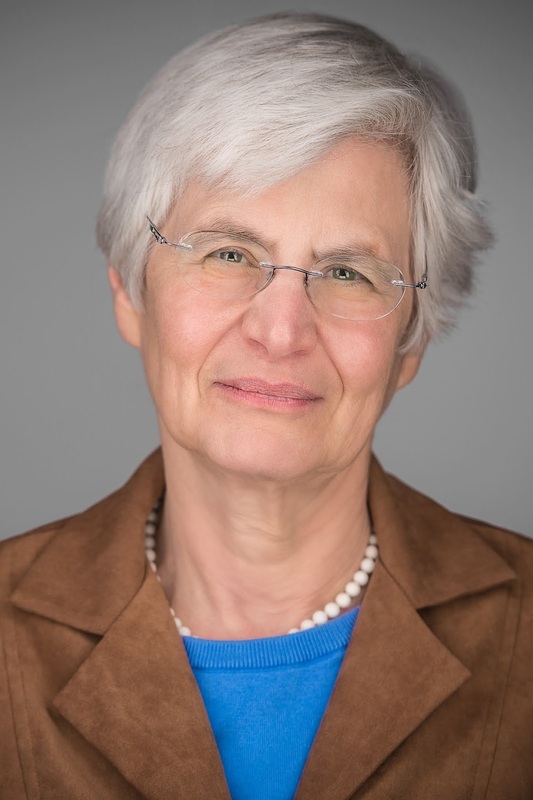 This program, despite an enormous financial commitment and extensive evaluation, also failed, as evidenced by the 1995 SUPPORT study, “The Study to Understand Prognoses and Preferences for Outcomes and Risks of Treatments.” The reality, I suspect, is that we need to simultaneously affect both physicians and patients if end of life care is to change. One more possibility to consider is that despite what patients say when given theoretical options such as "would you rather die at home or in the hospital?" or "when you are at the end of life, would you prefer comfort care?" in fact, when faced with the reality of a life-limiting illness, patients want all possible efforts at life-prolongation, whatever the personal cost, and they expect their physicians to provide them. Maybe they don't want to discuss options with their physicians. 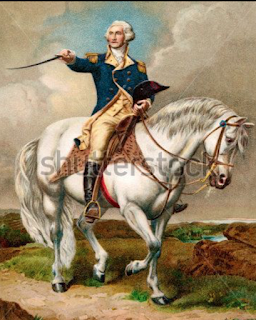 The language of obituaries, "he passed away after a long battle" or after a "heroic struggle" very likely reflects contemporary culture. We need to study what patients want when they are faced with an actual illness, not with an abstract possibility. I confess that I tremendously enjoyed The One-Hundred-Year-Old Man Who Climbed Out the Window and Disappeared (2009). 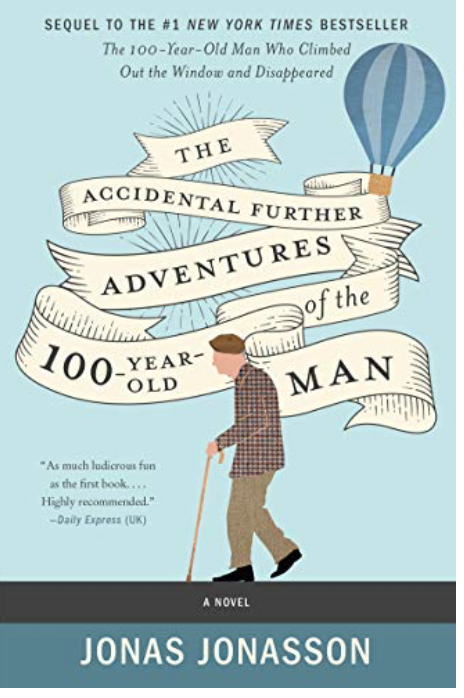 It wasn’t profound and it wasn’t great literature, but it was laugh-aloud funny and a delightful depiction of someone who is unambiguously old. 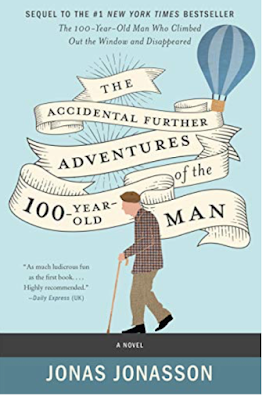 The recently released sequel, The Accidental Further Adventure of the Hundred-Year-Old-Man,is not quite the masterpiece of comic satire as its predecessor, but it’s a welcome distraction in this time of unrelievedly bad news. But I think the reason I particularly like Jonas Jonasson’s creation is that I appreciate the way he depicts an older person. The typical reaction to a one-hundred-year-old who remains engaged with life is of the gee-whiz-golly variety: isn’t he amazing! Or, if it’s a woman, isn’t she cute! The old person (and yes, I prefer the locution “old” rather than one of the more politically correct euphemisms) is treated as a curiosity, a zoo specimen, not as a full human being with all his or her foibles and failings. My bias is that we should accept people for who they are—whether they are 50, 75, or 100. Then there is a whole area of research devoted to studying centenarians (for example, the New England Centenarian Study).The prevailing wisdom is that centenarians are a special breed who have managed to make it to a ripe old age through a combination of genetics, lifestyle and, I would add, luck. Part of what makes them special, in this view, is that they have been spared many of the chronic diseases of old age, suffering perhaps from osteoarthritis, farsightedness (in the medical sense), and cataracts, but with a remarkably low prevalence of heart disease, cancer, and dementia. Researchers interested in centenarians seek to understand just how this phenomenon is achieved and potentially to enable more people to achieve robust longevity. The concept of delaying aging and thereby achieving the long-desired goal of compressing morbidity is decidedly attractive—although I have long suspected that the reason centenarians do not seem to experience a prolonged, albeit late-onset period of gradual organ failure is not that they stay healthy until some breaking point and then fall apart all at once. Rather, I imagine, what happens is that the 80-year-old who gets cancer or heart disease is treated aggressively, allowing that individual to survive long enough to develop other medical problems, which are also vigorously treated, and so forth. The 100-year-old who gets cancer or heart disease, by contrast, is treated palliatively and dies without the opportunity to come down with a second or third or fourth disease. But that’s mere speculation. While not exactly brilliant satire, The Accidental Further Adventures gives us an opportunity to see how western Europeans, in particular Swedes, see figures such as Trump, Putin, and Merkel. It’s an amusing romp and its now 101-year-old protagonist makes an enchanting hero. The Beers criteria were first promulgated in 1991 by Mark Beers and published in the Archives of Internal Medicine. The idea of reviewing the literature on adverse drug reactions in the elderly and publicizing a list of the worst offenders was widely applauded—but the methodology used in the original list was severely criticized. The American Geriatrics Society subsequently adopted the project and has been responsible for recent revisions. The newest list was just issued. As with earlier AGS revisions, the expert panel charged with evaluating medications used evidence-based criteria for its judgments. For every medication about which it makes a recommendation, it indicates the quality of the evidence and the strength of the recommendation. Moreover, the panel distinguishes among three groups of potentially inappropriate medications: 1) those that should be avoided by older people in general, either because of a high risk of adverse effects, limited effectiveness, or the availability of better alternatives; 2) those that should be avoided by people with certain medical conditions (for example, renal failure); and 3) those in which the risks generally outweigh the benefits but which may be useful for particular individuals. Physicians should keep all the tables on hand as a reference; because the medications are sorted by therapeutic category, i.e. “anti-infective” or “cardiovascular” and only generic names are used, the list is less useful for patients and families. I am going to summarize some of the main points for the general reader. One group of medications that the AGS strongly recommends avoiding (although interestingly, the quality of the evidence is rated as “moderate”) are the first- generation antihistamines, drugs such as diphenhydramine (benadryl) and hydroxyzine (atarax) that are used against allergies and itching. They cause dry mouth, constipation, and confusion. To a large extent they have been replaced by the second-generation antihistamines (fexofenadine or Allegra, loratadine or Claritin, and cetirizine or Zyrtec) and their isomers, sometimes called third- generation antihistamines (levocetirizine or Xyzal). A number of first-generation antidepressants are similarly to be avoided because they, like the antihistamines, are anticholinergic (amitriptyline or Elavil, imipramine or Tofranil, and desipramine or Norpramin)—though in this case the quality of the evidence is high. These drugs have largely been superseded by newer antidepressants such as the selective serotonin reuptake inhibitors (SSRIs including fluoxetine or Prozac, citalopram or Celexa, and sertraline or Zoloft) and serotonin and norepinephrine reuptake inhibitors (SNRIs such as duloxetine or Cymbalta and venlaxafine or Effexor). It’s important to note that all these drugs can cause confusion; a few highly publicized studies notwithstanding, the AGS does not claim that any of these medications actually cause dementia. It’s also worth commenting that while all the antihistamines are available over the counter, so older patients might mistakenly choose one of the first-generation drugs over less toxic agents, the antidepressants are all prescription drugs and the first-generation agents are very seldom prescribed by physicians. A second group of medications that AGS singles out are the antipsychotics, both the first-generation variety (drugs such as haloperidol or Haldol and fluphenazine or Prolixin) and second-generation agents (olanzapine or Zyprexa, quetiapine or Seroquil, and risperidone or Risperdal). All these drugs are deemed risky and are to be avoided except in people with schizophrenia or in people with dementia who are exhibiting dangerous behavior that has failed to respond to other alternatives. This is important because physicians continue to prescribe antipsychotics for the behavioral manifestations of dementia, despite compelling evidence that they are ineffective and/or risky. Finally, both the benzodiazepines (used to treat anxiety or sleep disorders) and non-steroidal anti-inflammatory pain medications (drugs such as ibuprofen or Motrin and naproxen or Naprosyn but not celecoxib or Celebrex) receive an “avoid” recommendation, though in both cases the quality of the evidence is moderate but the recommendation is deemed strong. This is noteworthy because both groups of medicines continue to be prescribed by physicians and many of the second group are available over-the-counter. The newest iteration of the Beers list is not perfect. But at the very least, there should be an awfully good reason for an older person to take any of the drugs the AGS says to avoid. As an ever-growing percentage of Americans live to extreme old age, with a correspondingly large proportion surviving long enough to become frail, family caregivers play an increasingly pivotal role in their care. Previous studies have documented how widespread caregiving is, how intense, and how medically oriented. But these studies typically are snapshots, looking at a single point in time. A new study, “Family Caregivers of Older Adults, 1999-2015,” uses several national surveys to examine changes in caregiving over time. The take home message of this comparison is that the job of caregiving has become more challenging as the care recipients have become sicker and more disabled. In 1999, 18 percent of care recipients needed help in three or four areas. By 2015, this had risen to 26 percent. Caregiving has become more intense and of longer duration, with 45 percent of caregivers providing help for over four years in 1999, compared to 64 percent in 2015. What this means is that for caregivers to do a good job, they need to be more medically sophisticated today. In the groundbreaking 2012 study, “Home Alone: Family Caregivers Providing Complex Chronic Care,” 46 percent of family caregivers were found to provide one or more types of fairly sophisticated medical care. This percentage has undoubtedly grown over time, just as all the other indicators of complexity have grown. But there is no reason to believe that today’s caregivers are any better equipped than their predecessors to manage chronic disease. The consequences of this shift are profoundly under-appreciated. Increased demands on caregivers result in emotional, cognitive, and financial stress. At least as important, and almost never addressed, are the consequences to the care recipients. Unless their family caregivers develop greater medical knowledge and unless they learn to navigate the maze that is our current health care system, they will pay the price in the form of more trips to the emergency room, more hospital admissions, more tests, and more procedures. If today’s frail older people wish to avoid burdensome and often unnecessary and even ineffective medical treatment, and if our society wants to avoid the financial cost of such treatment, then it behooves us to provide better support for caregivers. Caregivers are the key. In the next few months, I will take a small step in that direction with the publication of my book for caregivers, tentatively titled “Taking Care.” This book, to be published by Johns Hopkins University Press, will provide caregivers with the knowledge they need as their relatives make their way to the office, the hospital, the skilled nursing facility. It will teach them enough medicine to help them manage the acute symptoms and chronic diseases they are likely to encounter. Above all, it will help them think through decisions based on their family member’s underlying health state and preferences for care. Stay tuned!